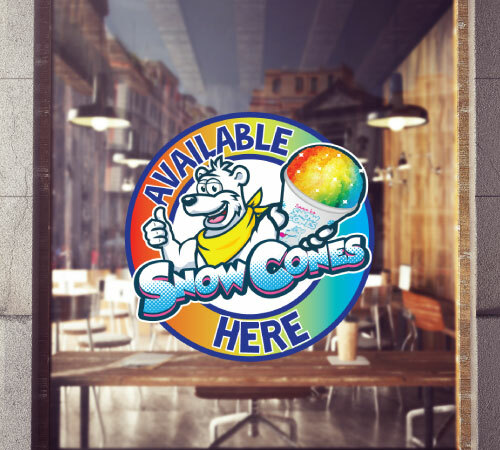 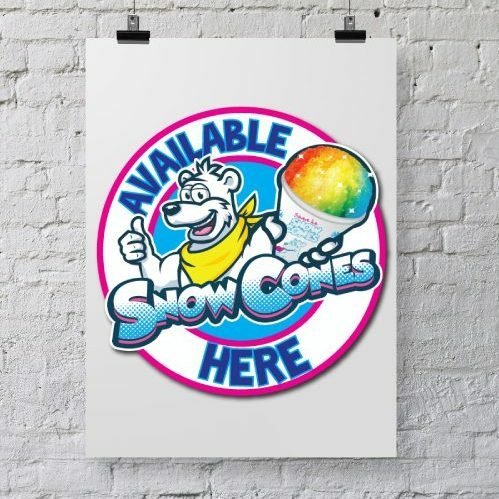 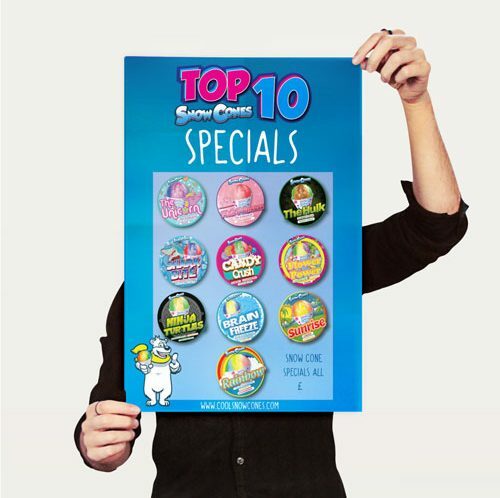 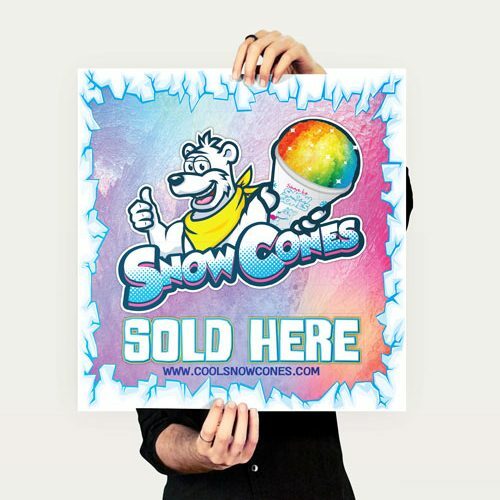 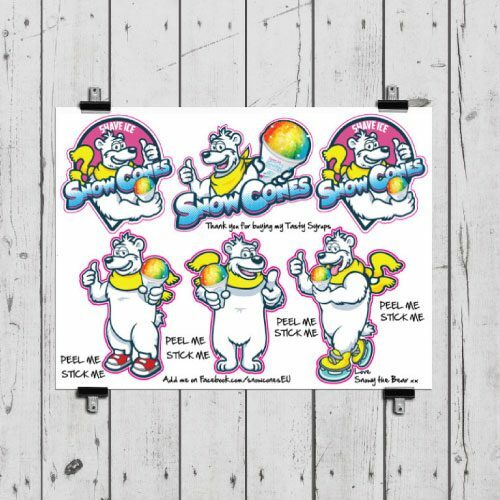 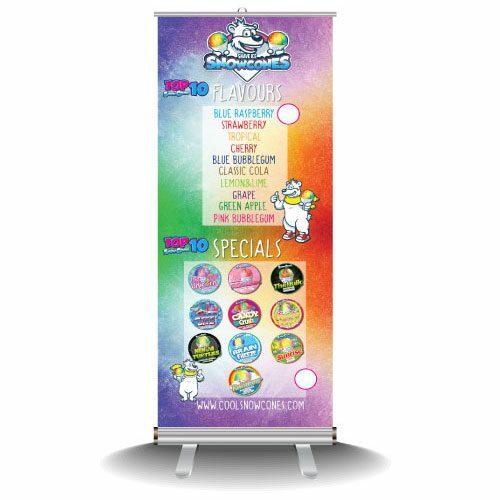 Bright, Colourful and eye catching our Snow Cones pop up banner display is great for shops and indoor locations. 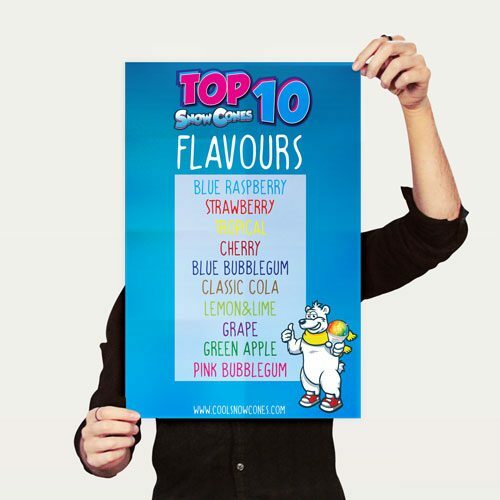 The Pop up display features a Top 10 flavour Menu and a Top 10 specials menu. 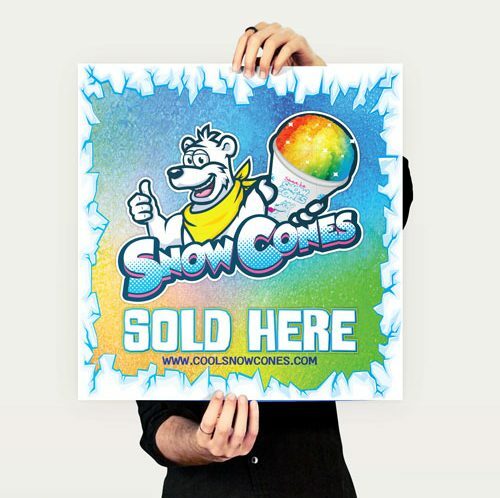 Comes in its very own carry case thats perfect for transporting.